Once you start getting to grips with Twitter, and are tweeting, replying and mentioning others in your tweets, you will find that there are additional useful features that you can use to engage with other users. Using Twitter can go beyond just regular tweeting and replying, and you will find many different ways of socializing, promoting or finding useful information. Save for later: If a tweet has a useful link that you do not have time to visit there and then, you can favorite it so that you can find it again easily later. Showing appreciation: When you favorite a tweet, it lets the user know that you liked what they tweeted. Draw a user’s attention: Favoriting somebody’s tweet can help to get you noticed by the person who posted it, who may decide to follow you. 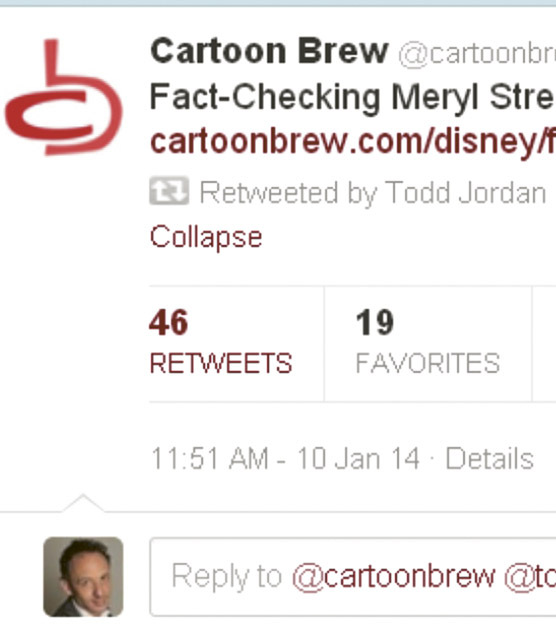 Hover your mouse over the tweet you want to favorite. Click Favorite. A yellow-bordered star should appear in the right-hand corner of the tweet. You can un-favorite a tweet by clicking the Favorite button again, and you will see the yellow-bordered star disappears. This will remove the tweet from your Favorites list. Hot Tip: If somebody tweets something that you enjoyed, but you do not think it is suitable to retweet to your followers, favorite it to show your appreciation to the original poster. 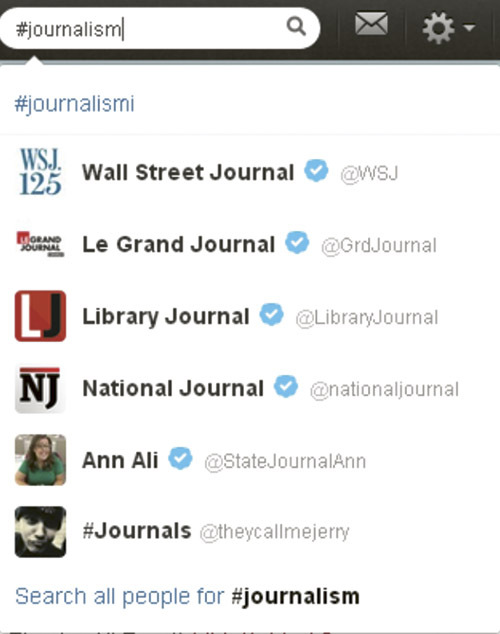 People: Use the @ symbol to find Twitter handles or simply type in a person’s name. Keywords: Enter the keywords to obtain a list of tweets containing that topic. Hashtags: A more direct and easier way to gain the information you want. Twitter’s search engine has some useful features to help you find the information you want. Suggestions: When you start typing, Twitter will make suggestions based on the most popular topic searches. Fluid searching: As people are constantly tweeting, when new results come in, Twitter will alert you to the new tweets at the top of the search results page. The biggest problem with making Twitter searches is the sheer volume of tweets in the archive. Since it is impossible to list everything, you may find that most searches are limited to just the last few days or weeks. For a more specific search, you can use Twitter’s advanced search feature, located at https://twitter.com/search-advanced, which allows you to be more specific with what you are looking for. For example, you will be able to include and exclude certain keywords and hashtags or specify people and locations for Twitter to search. Another great tool for finding information – particularly things that are currently happening in the news – is Twitter’s trending topics. Trends, which can be seen on the left-hand side of your Twitter feed, are the most commonly tweeted-about subjects at any given time. They are based on both keywords and hashtags, and are often a great way to determine what is going on in the world. hashtags.org: A website that shows you the most popular hashtags. HootSuite: Lets you track topics and receive the latest tweets containing certain keywords. twitter.com/Trendrr: Allows you to track trends and keywords. Dailymotion: When you link to a video on Dailymotion, a Twitter user can expand the tweet and watch the video. 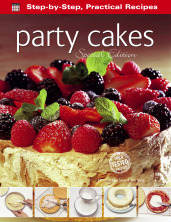 Amazon: If you send a book link, Twitter users can expand it to see the cover and summary. Time: Post a link to an article on Time magazine and Twitter users will see a preview of the page. Newspapers: Expanded tweets also include links to news stories in the Wall Street Journal and other popular online newspapers. An expanded tweet will contain a link saying: View summary or, in the case of a video, View media. Click the link to expand the tweet. Click Hide summary/Hide media to shrink the tweet again. Hot Tip: Expanded tweets should not be confused with the Expand link on the bottom of most tweets, which is a feature that lets you see more details about the message. Your Twitter feed contains the most essential elements of tweets, namely the content. However, you can see other details, such as the time and date when the tweet was sent, if you click the link that says Expand. If a tweet is a retweet, this feature also shows the number of retweets and favorites that the person who originally posted the message has, and pictures of some of their followers you may wish to follow. Often, you may come across a reply to a tweet and be interested in following the discussion; thankfully, Twitter makes it easy for you to follow conversations. If a tweet is a reply, it will contain a ‘View conversation’ link which, when clicked, will show the tweets in that conversation. These may include messages from a number of different people engaged in the discussion. Thanks to the ability to interact with large numbers of people in real time, Twitter is a great place to hold discussions, forums and Q&A sessions. Tweet chats are usually arranged in advance at a specific time, when a Twitter user will host a conversation enabling those interested to ask questions and discuss certain topics. Hot Tip: If you host a tweet chat, come up with a hashtag that users can include to filter all tweets into one conversation and which will make it easier for people to get involved. All tweets have their own webpage, as do conversation streams. If you click ‘Expand’ or ‘View conversation’, you should see a ‘Details’ link next to the time and date when the tweet was sent. If you click this link, you will be taken to the tweet’s unique page, where the message will appear much larger and you will be able to see all details and replies to it. Tweets are very easy to share; you can send links to them by copying and pasting the URL from any tweet permalink page. In addition, you can share a tweet by email. Click the More link on the bottom right of the tweet you want to share. In the pop-up window, enter the email address of the person you want to send the tweet to. 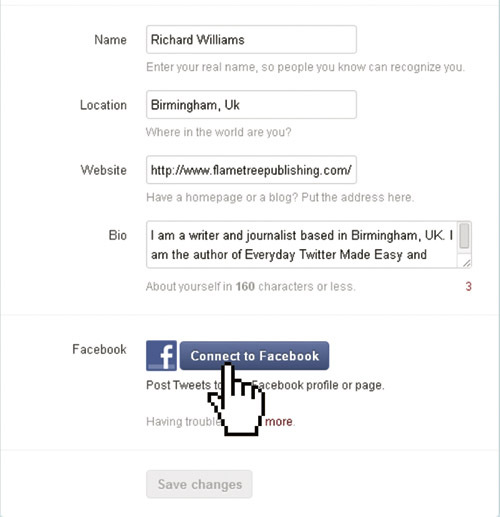 Add a comment if you wish and click the box to include or exclude your own email address. While Twitter is incredibly popular, Facebook is still the world’s number one social media platform. Fortunately, it is easy to integrate your Twitter feed with your Facebook account. You can automatically post tweets to your Facebook wall or to your fan page, which means that all your Facebook friends and fans can see everything you tweet, even if they are not on Twitter. Log into Twitter, click Settings (in the gear wheel menu) and then click Profile. In the pop-up window, sign into Facebook. Select where you want your tweets to appear, such as your timeline or profile page. Click OK. Your tweets will now appear on Facebook, along with your Twitter handle. 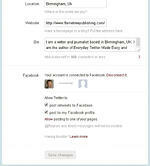 If you are using Twitter for business, you can also automatically tweet your LinkedIn status updates. Log into LinkedIn and go into ‘Account & Settings’ (top right: the person icon). Click the ‘Manage your Twitter settings’ link. Click ‘Add your Twitter account’, and enter your Twitter username and password or, if you are already logged in, click ‘Authorize app’. In order to help you keep track of your interactions, Twitter can send you email notifications so that you do not miss that all-important tweet, reply, direct message or mention. You can receive an email for all sorts of things. Favorites: You can receive a notification when somebody favorites one of your tweets or a tweet that mentions you. Mentions: Twitter will email you if you are mentioned in a tweet. Retweets: Whenever one of your tweets is retweeted, Twitter can let you know. Direct messages: If somebody sends you a DM, you can read the message in your email rather than logging in. Replies: Email notifications let you know if somebody has replied to a tweet. Followers: If you have a new follower or somebody from your email address book joins Twitter, you can be notified. You can turn all notifications on or off, as well as receiving notifications tailored to you (from your followers) or relating to any interactions. Go into the Settings menu (gear wheel icon on the top right). Click on ‘Email notifications’ on the sidebar. Check the relevant box to turn on a particular email notification and uncheck to turn it off. In the drop-down menu, choose whether to receive notifications from interactions from ‘Anybody’ or ‘Tailored for you’. Click Save changes to save your preferences. Twitter accepts that it is fine to automate some things. Feeds: Twitter does not mind if you automate blog feeds or status updates from other social media platforms. News and weather: Automated tweets that provide useful information to Twitter users are also fine. Updates: If you have posted a video on YouTube or written a new blog post, it is OK to send an automated tweet about it. Replies and mentions: Do not automate replies and mentions, as this can get your account suspended. Retweets: Automated retweeting is also against Twitter’s guidelines. Following: Accounts that use automation to follow and unfollow people may also be suspended. Due to the ease of automation on Twitter, spambots (software that sends tweets) are a common problem. Often, these copy tweets from real people in a bid to appear human. If you think a spambot is sending you messages, you can report it by using the ‘Report Tweet’ link in the More drop-down menu at the bottom of the tweet. For some further information on Twitter automation, click here. Read about 5 small businesses that found success via social media here. Let's finish on a high note: This is the best Twitter conversation you will read today.